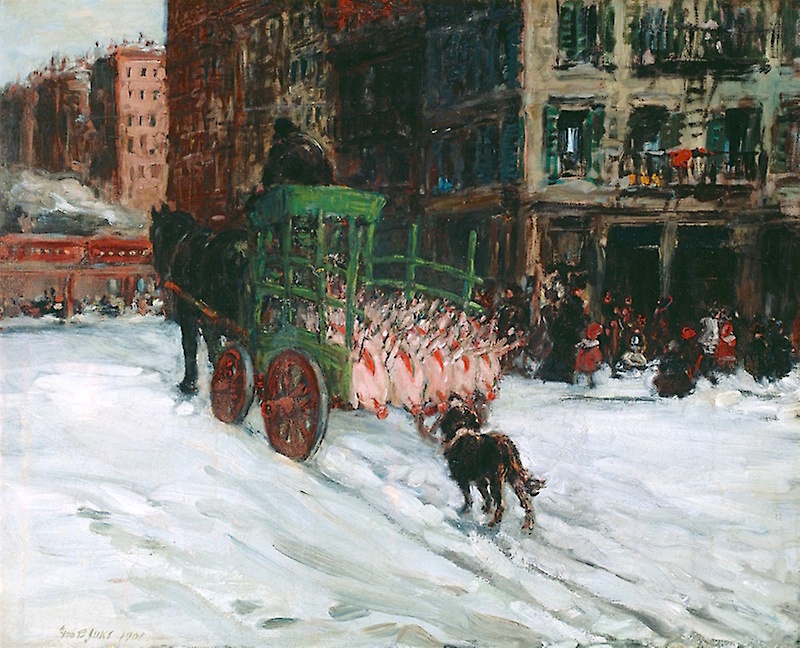 Almost exactly 100 years ago, social realist painter George Luks—who honed his artistic skills in Philadelphia before moving to New York in 1896—captured this scene on the night World War I ended. 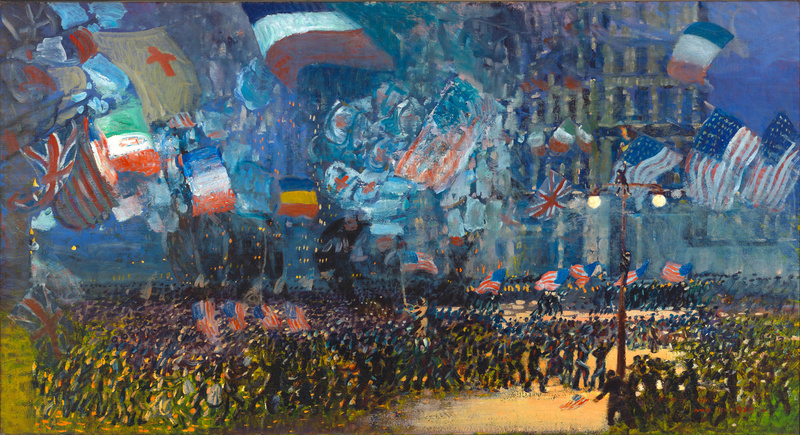 “In Armistice Night, as in his earlier illustrations, Luks does not deliberate over particulars: the painting is a blur of American and Allied flags, faces, and fireworks,” states the Whitney Museum of Art. I only wish I could positively identify the location. Union Square?